A satellite phone provides a connection for voice or data connection through satellite communications in both directions. The connection to the device occurs via radio-frequency waves directly to a satellite. Thus, all over the world and even in areas without terrestrial mobile calls can be made. The satellite transmits the incoming call to an earth station that makes the call to the public telephone network. Starting in the late 1970s Satellite Phone were used for communication over long distances. The transmitting and receiving equipment of these Satellite Phone systems were very large and stationary. Only the International Maritime Satellite Organization ( Inmarsat ) introduced a model of Satellite Phone in 1982 easy to carry.In 1989 the first Satellite Phone equipment launched for proper usage. 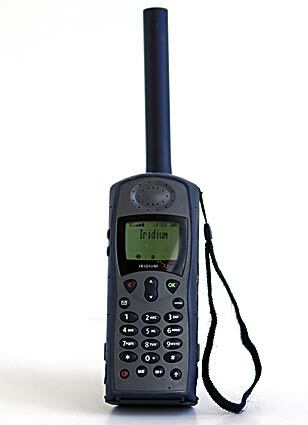 From 1985, developed Satellite Phone was developed by Motorola for Iridium. These Satellite Phone systems allow the polar regions that are not served by the ever standing geostationary satellites. Through the establishment of networks with satellites in low earth orbit ( LEO , MEO ), was the distance between the satellite and the terminal is significantly reduced and thus the required transmission power in the Satellite Phone terminal can be reduced. In this generation of Satellite Phone devices could be in weight and size like mobile phones in use, but it has not reached the market, because both the Satellite Phone devices and the connection fees for Satellite Phone are too expensive and needs suitable geographical conditions, such as as a clear view of sky. One of the pioneers of mobile phone and satellite phone combination approach is the company Spot LLC, a subsidiary of Globalstar satellite operator, has recently introduced a device name “SPOT Connect”. In some countries, possession of a satellite phone is illegal or needs special permission. For India, anyone can apply for possession of a Satellite Phone through proper Govt. website , it is illegal to use without proper papers passed in that way. The reason is, India faced various terrorist activities and Satellite Phone bypasses Country level surveillance system. This Article Has Been Shared 5599 Times! Bluetooth is developed in accordance with the industry standard IEEE 802.15.1 for the data transfer between devices over short distances via radio technology. Cite this article as: Abhishek Ghosh, "Satellite Phone or satphone," in The Customize Windows, May 4, 2012, April 21, 2019, https://thecustomizewindows.com/2012/05/satellite-phone-or-satphone/.